Yes, You CAN Help – Donate TODAY! As community needs continue to be greater than funds available, we continue to look at other sources for increased support. We are asking that you make a commitment to support the mission of community action so we may continue our commitment to serving communities and residents across west central Missouri. 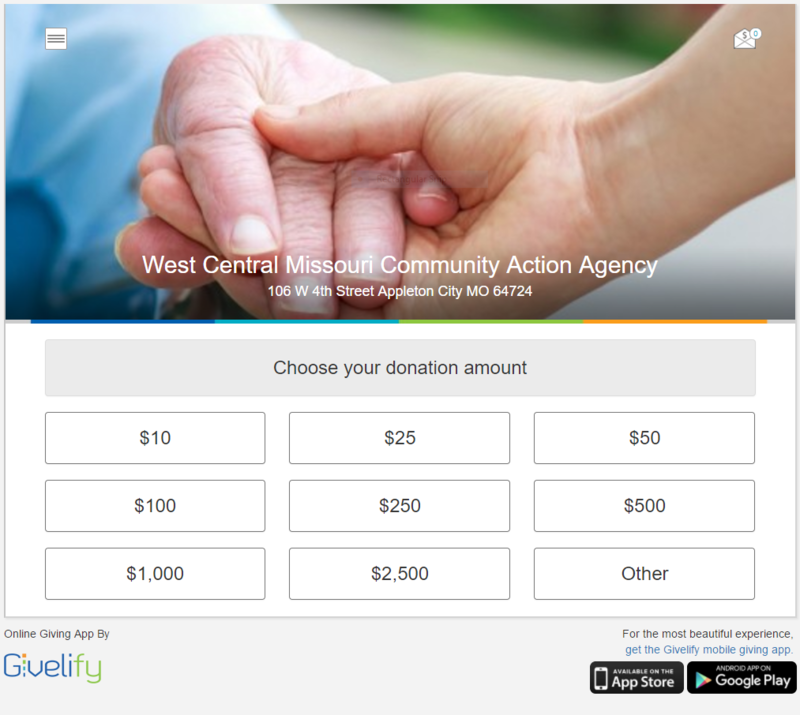 A gift to West Central could make a lifetime of difference in the hearts, minds, and lives of the west central Missouri community members who benefit from our services. A $5 donation will Sponsor one child to provide food for one weekend through the Nutritional Backpack program. A $50.00 donation will help fund an emergency assistance fund to provide utility assistance, rent or mortgage payments to keep a family from becoming homeless. A $100.00 donation will provide a preschool child with a physical, dental exam or prescription eye glasses. A $500.00 donation will provide dental supplies (toothbrush, toothpaste, floss and toothbrush cover) for 400 children. A $1,000.00 donation will feed 145 families of four for a week through the outreach center food pantries. Read more about other ways to give.